The United Kingdom’s June 23 vote to leave the European Union adds downward pressure to the world economy at a time when growth has been slow amid an array of remaining downside risks. The first half of 2016 revealed some promising signs—for example, stronger than expected growth in the euro area and Japan, as well as a partial recovery in commodity prices that helped several emerging and developing economies. As of June 22, we were therefore prepared to upgrade our 2016-17 global growth projections slightly. But Brexit has thrown a spanner in the works. The new World Economic Outlook Update, released today, reports our revised analysis. Our April outlook was for 3.2 percent global output growth in 2016 and 3.5 percent in 2017. For today’s update, we have reduced both of those projections by 0.1 percentage point, to 3.1 and 3.4 percent, respectively. Relative to the April baseline scenario, the new baseline concentrates the growth slowdown through 2017 in the advanced countries. Outside the advanced economies, gains in the emerging group are matched by losses in low-income economies. The growth reduction for sub-Saharan Africa—driven by the difficult macroeconomic situation in its largest economies, Nigeria and South Africa—has a dramatic implication: in 2016, regional output growth will fall short of population growth, implying declining per capita incomes. This revision incorporates projected effects of Brexit, but also other developments since April that lead us to adjust the outlook. Naturally, the direct effects specifically due to Brexit are greatest in Europe, especially the United Kingdom. Our projections for other areas are little changed by Brexit. Despite an uneven distribution across regions of the world, the overall growth downgrade in our baseline global projection is moderate, reflecting among other things a relatively mild assessment of Brexit’s negative impact. That scenario, however, is based on country-level information available now, which remains very limited for the post-Brexit period. It is therefore important to underscore that the real effects of Brexit will play out gradually over time, adding elements of economic and political uncertainty that could be resolved only after many months. This overlay of extra uncertainty, in turn, may open the door to an amplified response of financial markets to negative shocks. Thus, while our modestly reduced central scenario is the most likely outcome in our judgment, there are other, downside possibilities with substantially lower growth in Europe and palpable spillovers outside. Because the future effects of Brexit are exceptionally uncertain, the World Economic Outlook Update presents two model-based illustrations of alternative scenarios to the baseline–one that is moderately worse, and another that is much worse. These scenarios are driven by the uncertainty Brexit introduces about the U.K.’s ultimate trade relationship with the remainder of the European Union and the wider world; the length and contentiousness of the negotiations; markets’ difficulty in gauging the resulting depressing effects on demand; and resulting financial tightening leading to widespread banking-sector stress in the euro area. For the alternative scenarios to develop, the international-trade effects of Brexit would have to be more disruptive than we now anticipate. Moreover, the effects of uncertainty on economic activity would have to be greater than is yet evident to trigger severely negative financial feedback loops. Indeed, a main reason we place less weight on these alternative scenarios, especially the more severe one, is that financial markets have proven resilient in the weeks after the referendum, repricing in an orderly fashion to absorb the news. This benign result owes importantly to the market perception—and the reality—of major central banks’ readiness to provide liquidity to markets. But vulnerabilities persist, not least in some of Europe’s banks. Aside from downside possibilities associated with Brexit uncertainty itself, there are other continuing downside risks to the outlook owing to longstanding vulnerabilities and pressure points in the world economy. Many countries, both receiving and originating, face the strains of refugees and other displaced people. These strains have political as well as economic ramifications. Geopolitical risks remain as well, along with political strife in some countries. Crisis legacies on both the real and financial sides of many economies persist—ranging from continuing long-term unemployment, with the associated loss of human capital, to the nonperforming loans that still clog many bank balance sheets. Emerging and low-income commodity exporters struggle with balance of payments pressures, debt overhangs, and low investment. China’s welcome transition to a more consumer- and service-oriented growth model still could be bumpy, especially in view of the continuing credit expansion supporting the official growth target. These ongoing risks, joined by the additional risks that the Brexit vote has set in train, are more worrisome because expectations of long-term potential growth have fallen. In part, this fall is the result of demographic and technological trends; but lower potential growth reduces demand today and with it, investment, generating even lower potential output going forward, in a vicious circle. Weak demand today can erode an economy’s productive capacity through other channels as well—loss of labor skills, discouraged labor force participation, lower dynamism in the business sector, and slower diffusion of technological best practice. Policymakers should not accept current growth rates as a “new normal,” dictated by factors out of the reach of policy. The risks go beyond the pure economic costs of a descent into persistent stagnation. In addition, a slow-growth environment will worsen the social tensions associated with long-term wage stagnation, structural economic change, and threatened entitlement programs. These stresses are contributing to demands for inward-looking solutions that seek to reverse long-term global trends at the expense of the open, dynamic markets that have delivered worldwide growth throughout most of the postwar era. It is up to policymakers (and even more, political leaders) to offer a narrative about these long-term developments to counter those popular ones that blame all ills on globally-oriented markets. But that narrative must also offer the hope of policy actions that can restore middle classes and a sense among voters that the benefits of economic growth can be more fairly shared. 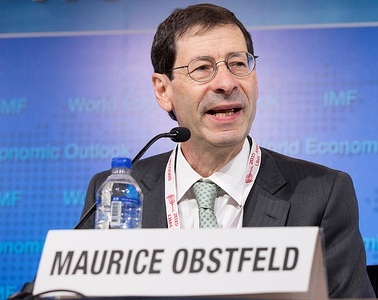 With policy space constrained along several dimensions, it is critical to deploy all of the main policy levers efficiently—growth-friendly fiscal policies, well-sequenced structural policies, and monetary policy support for anchored inflation expectations. Efficient policy packages will exploit synergies across various instruments; and policy can be even more effective when it is able to tap synergies across countries as well. More than ever, policymakers should consider the incidence of their measures across different income groups, along with accompanying actions to support social cohesion while promoting economic growth and stability.